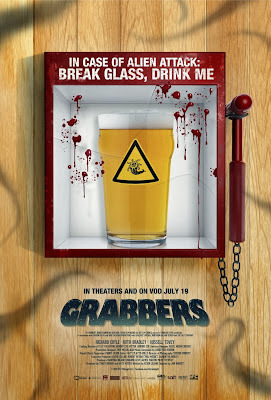 Grabbers is a horror-comedy from the UK & Ireland that pays homage to B-movies, sci-fi, and buddy cop movies. It’s a mix of Tremors, Slither and Gremlins with a touch of Shaun of the Dead and the result is a frothy, inebriated, and entertaining creature feature. When an outer space monster wrecks havoc on a small island village, the local sheriffs discover that the only way to avoid being eaten is to be cold-stone drunk. (Yes, this is definitely worth seeing while knocking back a few beers.) 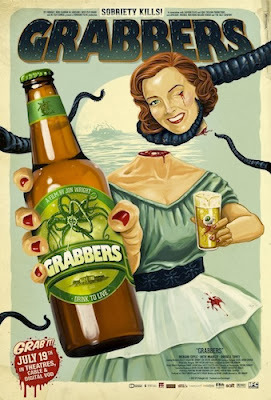 Grabbers doesn’t take itself too seriously or aspire to be more than the run-of-the-mill monster movie, but its perfectly gleeful, offbeat tone manages to create a fun atmosphere that horror-comedies rarely achieve. This is due largely to the brilliant assemble cast, crisp writing, and a brisk tempo that keeps the action moving. 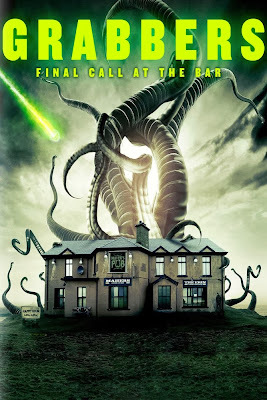 Also, looking at this CGI monster, it’s difficult to believe that this is an indie film and not some overblown Hollywood schlock. The gore is minimal but the occasional head does roll. 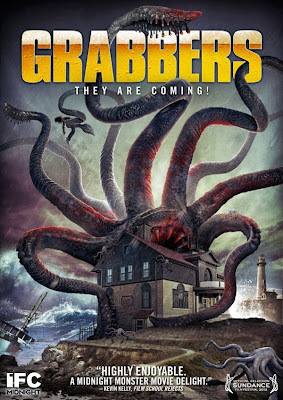 Grabbers was finally released on DVD last week (a year after premiering abroad).